Visit our shopping page and Browse the entire menu of authentic and fresh South Indian Snacks. What about the quality of snacks and other products listed on the website? We take utmost care to maintain the quality of the products we sell. All our vendors are reputed brands of South India and all the products sold on our website are hygienic and 100% authentic made using pure ingredients. e.g – Banana chips are made of freshly cut banana wafers and pure coconut oil. So, do not worry about the quality. Just give us a try and you will love the taste and our service. Do you use coconut oil for preparing banana chips? This is a trending question and we hear this from almost all of our first time customers :-). The answer is – YES. A big yes. We believe in selling authentic South Indian products that are prepared using 100% pure and original ingredients. So, there is no chance we sell Banana chips made using any other oil than pure coconut oil. Is the payment process secure enough? The answer is Yes. Our payment gateway partners are PayUMoney and Razorpay. 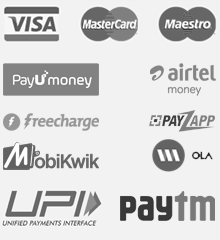 They are among the most reputed payment gateway providers in India. PayUMoney offers 100% buyer protection. So, whenever you place an order with us and make the payment, the money is held by PayUMoney payment gateway and is not released to us until we ship the order. So, it is fully safe to make an online transaction on our website. Also, Razorpay offers quick and hassle free payment options. You may also pay through wallets like Mobikwik using the Razorpay payment gateway. Contact us in case you have further questions about the safety and security related to the payment gateway. As of now we only support online payment through PayUMoney and Razorpay payment gateway. We support almost all the major bank debit cards, credit cards, net banking and wallets. For international orders, we accept payment through paypal and direct bank transfer. Please get in touch with us through our contact form to know more. Can I place an order on weekends or holidays? Yes, you can place an order 24 x 7. That is the benefit of online shopping. Having said that we would also like to inform you that orders placed during weekdays are processed faster than the orders placed on weekends. The reason being most of the courier companies and our snack vendors are not operating on weekends/ holidays and hence the order processing may get delayed by a day or two. Once we receive an order from your end and we get a confirmation of the payment, we process the order either the same day or the very next working day. Once it is processed and packed, we will ship the order. It usually takes 3-5 business days for the consignment to get delivered from the day of dispatch. Can I place an order If I am not residing in India? Yes, we accept international orders. To place an order, just visit our contact us page and send us your exact requirement. Our customer representative will get in touch with you in 24 hours. Any other comments or directions. No. We do not have any minimum order requirement. You can order any item with any variation as listed on the product description pages. Which all cities and states you have service in India? We serve almost all the cities and states of India. You can order from any part of the country and we will deliver the products to your doorsteps without compromising the quality and freshness of the product. Is there any additional shipping charge or any other hidden fees? Absolutely not. All the orders are shipped without any additional shipping charge. The price listed on the website is inclusive of all taxes and shipping cost. Your question is not answered above? Don’t worry. Just drop us an email to our mailing address – care@thesouthindianstore.com or simply fill our contact form with your query. We will respond to your concerns within 24 hours.